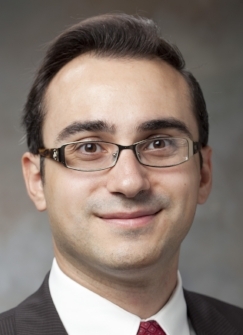 As of October 2018, Dr. Alkawadri assumed the position of Associate Professor of Neurology at the University of Pittsburgh (PITT) and the University of Pittsburgh Medical Center (UPMC) where he will continue to build on the Yale Scholar /KL2-NIH award by employing computational electrophysiology in investigating the Human Brain Networks in collaboration with colleagues at Pitt and Carnegie Mellon University. Rafeed Alkawadri M.D. is an attending epileptologist and neurophysiologist in the Department of Neurology at Yale School of Medicine. He is the Director, of the Human Brain Mapping Program and Evoked Potentials Laboratory since 2013. He was appointed in 2012 after completion of 2-year fellowship training in epilepsy and clinical neurophysiology in the Epilepsy Center at Cleveland Clinic, Cleveland, Ohio, where he served as the chief fellow. Prior to his fellowship training, Dr. Alkawadri completed 4-year neurology residency training at the University of Texas Southwestern Medical Center in Dallas, Texas. He received his medical degree from the University of Damascus in 2005. Dr. Alkawadri is a certified neurologist by the American Board of Psychiatry and Neurology. He is a member of the American Academy of Neurology, the American Epilepsy Society, and the American Clinical Neurophysiology Society. Dr. Alkawadri is the principal investigator of several ongoing research projects. He has published his research in leading peer-reviewed journals in his field, and presented his work at several national meetings.